The majority of first-time Franchisees, if asked, after they open their business, will say they spent a substantial amount of their budgeted “working capital” on architects and construction management overages before their grand opening. Your pre-construction stage offers the greatest financial impact on opening your business safely and creatively under budget. To manage a complex commercial buildout on time and under budget, as a first-time Franchisee you must start with the realization that once your lease is finalized, you have arrived at an exciting, yet vulnerable transition point in the launch of your new business. This is the initial and crucial preliminary planning stage focusing on improving quality and efficiency, while implementing time and cost-reduction strategies. This is accomplished through city building permit research and planning, sourcing and interviewing (Architects and General Contractors), cost estimating and contract negotiations affecting architecture and construction management to finalize a successful buildout project. Return on investment: For example, by investing up to 3.5% of your total project cost in pre-construction planning, a return on investment can be calculated through the capital savings of start-up costs, not including the value of time savings. If your total project is budgeted at $100,000 and you invest $3,500 in the pre-construction administrative process, and save $50,000 in architecture and construction costs, you will have a 14:1 return on your investment. This involves the initial website review, written and verbal correspondence to research local city and county municipalities and permit technicians, including city supervisors, with regard to whether a prototypical floor plan or sealed architectural documents will be a requirement based on local code and scope of construction to the interior space. 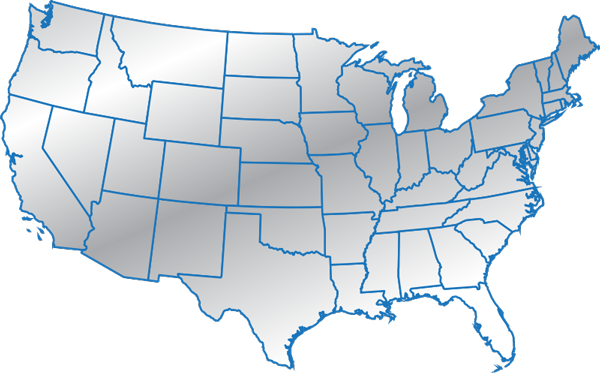 Who is authorized to “submit” final construction documents (varies by city and state)? Who is authorized to “pull” building permits/licenses, procedures and fees (varies by city and state)? Anticipated Results: City plan check approvals vary based on the quality and detail of the completed final construction documents (including MEPs). The time savings can be achieved in the number of revisions the city requires and the length of time the city takes to approve each revision. If the architectural plans are incomplete, it is common to have two or three revision requests from the city which can cause severe delays with each revision. Local market research, source and interview up to nine (9) local Architects to select the final four (based on availability) while providing a profile rating score, proposal and contract, including fee structure, and coordinating initial face-to-face interviews with the Franchisee to select the best Architect. Complete and accurate construction document submissions, understanding and in compliance to local city code. Least number of city plan check revisions. First and second drafts of floor plans and final construction documents in a timely manner. Most competitive and transparent price, including easy-to-understand services and contract exclusion terms. Highly established and affordable mechanical, electrical and plumbing (MEP) sub-contracted services by an internal or approved MEP engineer with prices included in the proposal and contract. Will offer to visit the site, review General Contractor “hard bids” included in their contract or offer an hourly rate as an optional service. Will cooperate in a positive manner with Franchisee, General Contractor and city prior, during and closing out a job. Potential savings of 2-10 weeks preventing city delays, and potential savings of $2,000 to $10,000 in competitive proposal pricing. Provide the highest quality materials, as specified within the construction documents and agreements, to provide excellent workmanship and to inspect all work daily on the job. Provide a clear, transparent, open-book bid, proposal and cost estimate that is easy to understand. Be willing to explain, as needed, the material mark-up, labor licensing/employee insurance and costs, category and bundled items (e.g., special requirements, job site costs, general conditions, contingencies, supervision costs, overhead and percent profitability). The GC Agreement will clearly outline licensing/insurance/indemnification, change order costs and procedures, signature requirements, additions, exclusions, city requirements, payment methods, delays and closing the job with signed waivers to successfully collect tenant improvement reimbursements from the Landlord on a timely basis. Has local city experience and will, if needed, personally pull permits on a timely basis. Can activate and mobilize the job immediately upon city approval of construction documents, without delays, based on available subcontractors in areas such as framing, plumbing, electricity, HVAC, fire, painting, flooring, installation and signage. Approachable communications with subcontractors and cooperation with Franchisee, Architect and city inspectors. Exhibits fairness and flexibility throughout the project in the event of crisis. Interfaces well and has a natural chemistry with the Architect of record with all changes, with no inclination to blame the Franchisee, Architect or city as situations arise. Oriented toward creative problem solving with a calming influence. Time savings of up to 4-8 weeks in efficient workflow, uncovering and preventing project delays and savings of $10,000 to $50,000 in performing four (4) cost estimates. Price ranges will then be revealed to position the highest financial savings opportunities to both reduce the overall startup costs and protect valuable working capital needed for your first year in business. Securing the best General Contractor, which eliminates worry and offers trusted peace of mind regardless of what situation might arise. Provide Franchisee basic prototypical floor plans including dimensions. Finishing guide to include flooring, lighting and the installation of furniture, fixture and equipment (FF&E). Provide special conditions unique to the to the buildout (e.g., sound abatement, grease traps, hoods). HVAC, high or low ceilings, number of bathrooms. Provide construction documents, vanilla shell exhibits and one full set of architectural drawings (if available). Provide one full set of “turnkey” build-out specifications (if available). Meet four (4) GCs and understands that cost estimates are not final. Meet with GC within 24 hours to address special issues as requested. Collect all competitive “hard bids” before awarding a winning GC bid. Protecting pricing information from competing GCs.• Enter into individual services agreements with Architect and GC. Agree to submit final GC contract and complete a survey of General Contractor services. 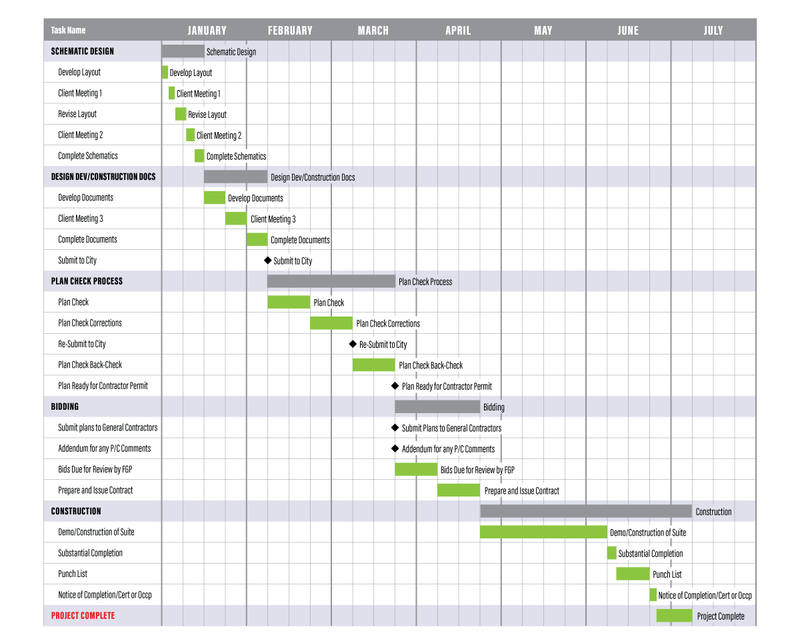 Coordinate an Architect and GC meeting to discuss responsibilities and timelines in the pre-construction phase. 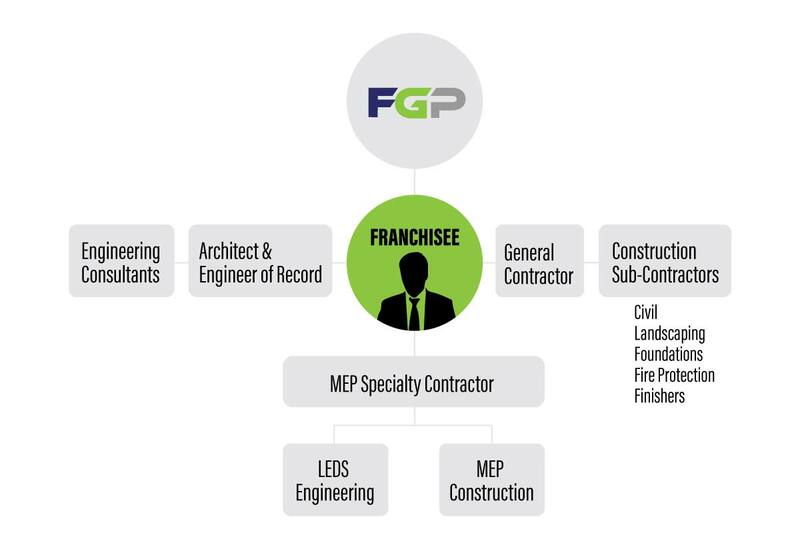 In the event FGP invites the Franchisee to participate in this pre-construction service, the Franchisee will have the option to accept or reject this offer. The General Contractors, who are providing competitive cost estimates, agree to pay FGP for your pre-construction services for a fee of $3,500 deducted from their operating profit of your job (similar to Landlords compensating their listing agent through a commission fee to lease their space). Effectively, a General Contractor is paying a marketing acquisition cost to secure a job. Your financial savings below are derived as a direct result of securing four (4) different General Contractors offering “hard bids”, which reduces the cost of your buildout without jeopardizing the quality, materials, and customer service.